Rather than specifying a region over which to perform a reduction, it is also possible to specify a neighborhood in which to apply a reducer. To reduce image neighborhoods, use image.reduceNeighborhood(). In this case, the reduction will occur in a sliding window over the input image, with the window size and shape specified by an ee.Kernel. The output of reduceNeighborhood() will be another image, with each pixel value representing the output of the reduction in a neighborhood around that pixel in the input image. Figure 1 illustrates this type of reduction. Figure 1. 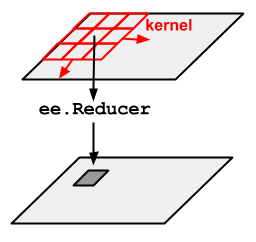 Illustration of reduceNeighborhood(), where the reducer is applied in a kernel. // Define a region in the redwood forest. // Load input NAIP imagery and build a mosaic. // Compute NDVI from the NAIP imagery. 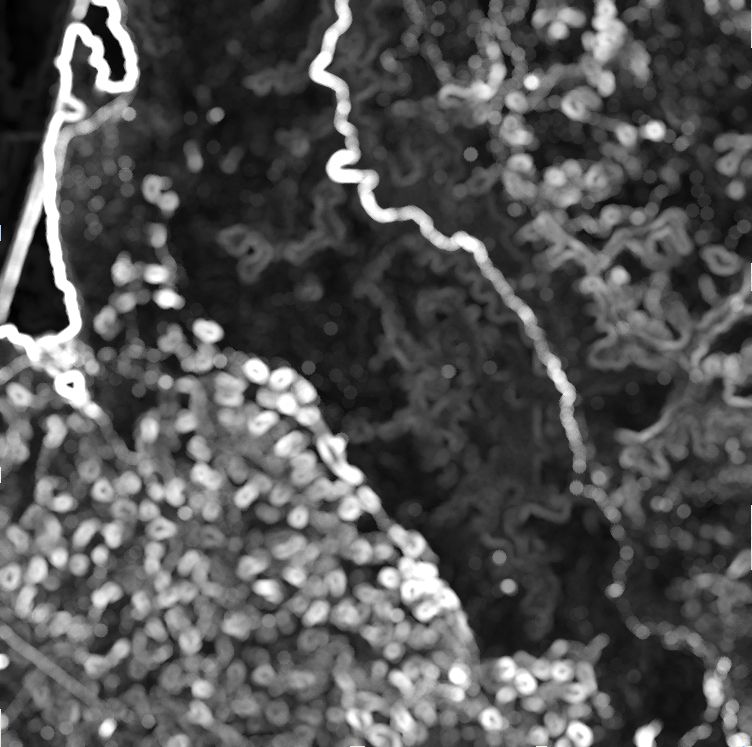 // Compute standard deviation (SD) as texture of the NDVI. Any pixel with a non-zero kernel value is included in the computation. The kernel weights are used by default, though you can change that behavior with the inputWeight argument. The input image and reduceNeighborhood() output are compared in Figure 2. Figure 2a. 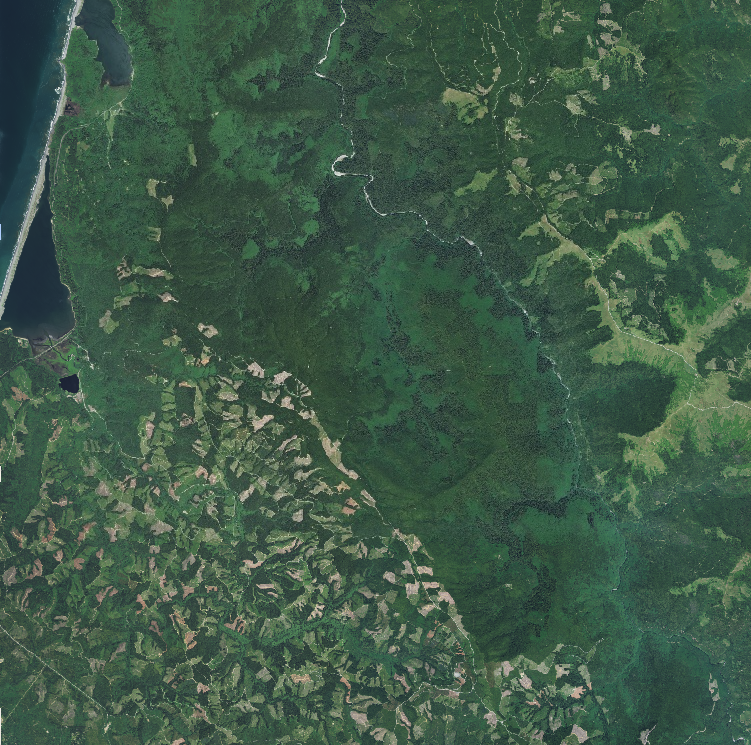 NAIP imagery of the Northern California coast. Figure 2b. reduceNeighborhood() output using a standard deviation reducer.